The Rope pump is a flexible pump in the sense that it can be connected to various sources of power. 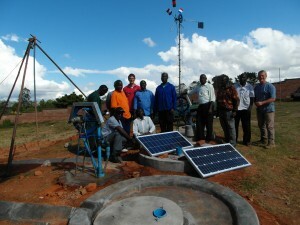 Solar and Wind are two of the sources that can be used to pump water using the Rope pump. Wind mills have the potential to pump larger volumes of water while with solar pumps you are more sure of the volume of water during periods of low wind. The SMART Centre aims at developing and introducing low-cost pumps and continuously works on new innovations. 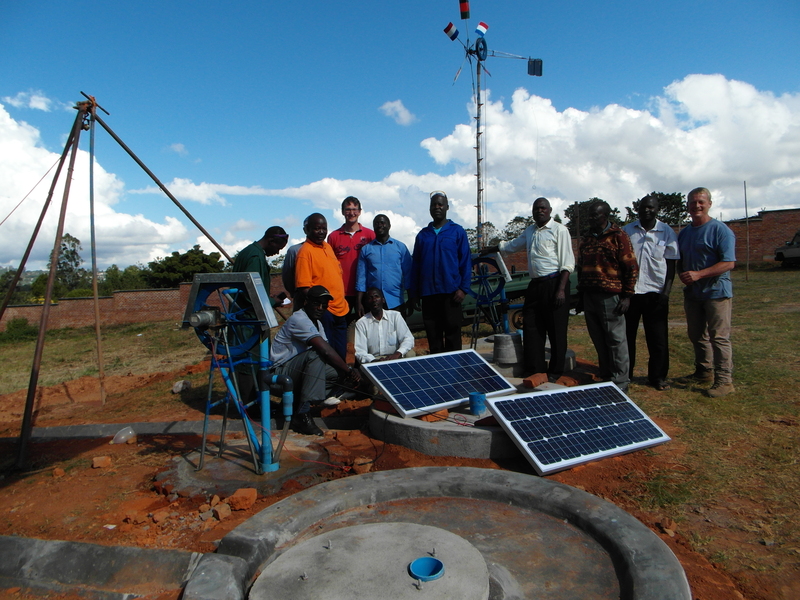 Recently the SMART Centre introduced a package consisting of a pump, a 37V solar panel and control box, suitable to pump water for household use and small scale irrigation. 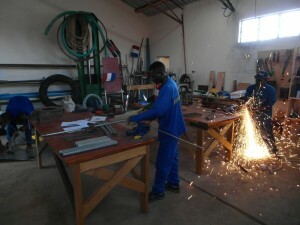 Together with local suppliers the SMART Centre works on building up the supply chain for these innovations. The SMART Centre trains fabricators in the production and installation of Rope pump wind mills as well as in the installation of (electrical) solar pumps.